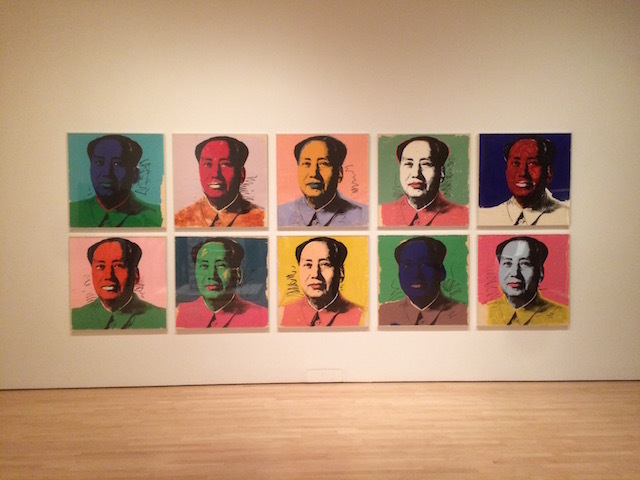 In The Philosophy of Andy Warhol (From A to B and Back Again), Warhol advises us not to make a problem of our problems. Everybody has problems, but the thing is to not make a problem about your Problem. For example, if you have no money and you worry about it all the time, you’ll get an ulcer and have a real problem and you still won’t have any money because people sense when you’re desperate and nobody wants anything to do with a desperate person. But if you don’t care about having no money, then people will give you money because you don’t care and they’ll think it’s nothing and give it away—make you take it. But if you have a problem about having no money and taking money and think you can’t take it and get guilty and want to be “independent,” then it’s a problem. Whereas if you just take the money and act spoiled and spend it like it’s nothing, then it’s not a problem and people keep wanting to give you more. How does a person get disciplined? More importantly Warhol comments on why it takes a while sometimes to see that we have the wrong values. It was my art dealer in Torino, calling to invite us to lunch. I tried to motion to B that I wanted to go someplace where they’d have cherries. Was he trying to make me feel guilty about the cherries? “You’re asking me how you get out of the bad habits?” I asked him. No, he said he didn’t want to know how you get out of the bad ones—just how you get into the good ones. “It’s not discipline, B,” I repeated. “It’s knowing what you really want.” Anything a person really wants is okay with me. “Then I’d get a beer belly.” B laughed at the idea of a champagne chin and a beer belly. “Then that’s just advertising,” I reminded him.